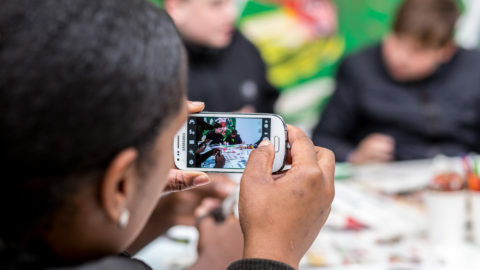 A collection of interviews conducted by young people from The OBC Youth Club, Bermondsey; reflecting on their interests, hobbies and experiences of attending the youth centre. The radio show was developed over a series of workshops that ran alongside Jerwood Solo Presentations 2018 and Jerwood Staging Series 2018 at Jerwood Space, as part of the Jerwood Visual Arts learning programme, and sought to encourage a consideration of sound as a medium. The series was programmed by Jerwood Charitable Foundation in collaboration with Resonance FM, with sessions led by artists Raju Rage and Erik Lintunen throughout autumn 2018. The project was made possible with support from Jerwood Space. This audio work was broadcast on Resonance FM on 30 October 2018.